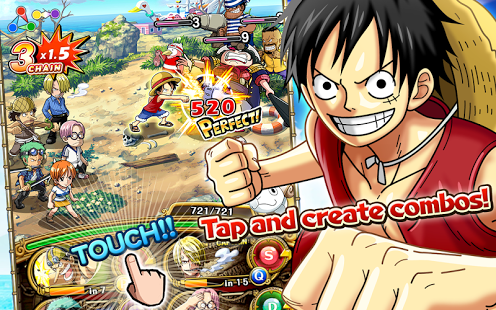 – Intuitive tap controls that’ll have you sending foes flying in no time! – Tap your characters at the right time to form combos and deal massive damage! – Each character possesses unique special abilities that make battles even more exciting! 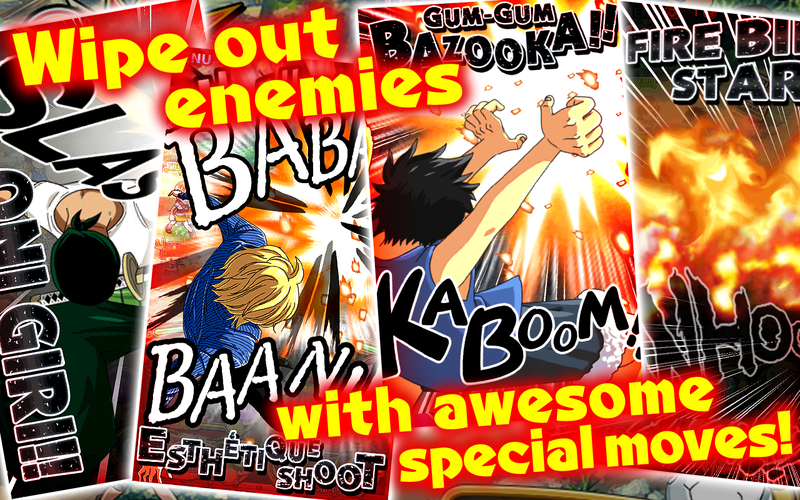 – Relive Your Favorite Moments from the One Piece Storyline! 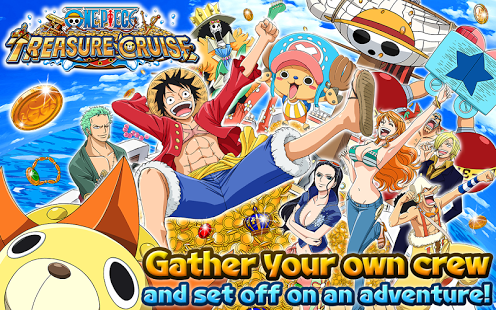 – Form a Crew with Your Favorite One Piece Characters! – There are tons of recruits available, including both major and supporting characters! – Perform “Tandem” Attacks to Deal Huge Damage! What’s new in the apk v6.0.4? – You must download the game data via WIFI since the game data is not stored in your sdcard (Android/data or /obb) folder. – If you have installed the normal apk before, just overwrite this normal apk, so you won’t lose your progress. – If you have installed the mod apk before, you have to wait for the mod apk to release, else you will lose your progress. – You can create a transfer code to switch the game progress between mod apk & normal apk. What’s new in the apk v5.1.1? – You can now view your Friend/Helper Captain’s Special Lv. when selecting them. – You can now Skip the movie that plays when a Special is launched by quickly tapping the screen twice. – The max limit of Cost will be raised by 20. What’s new in the apk v4.1.0? 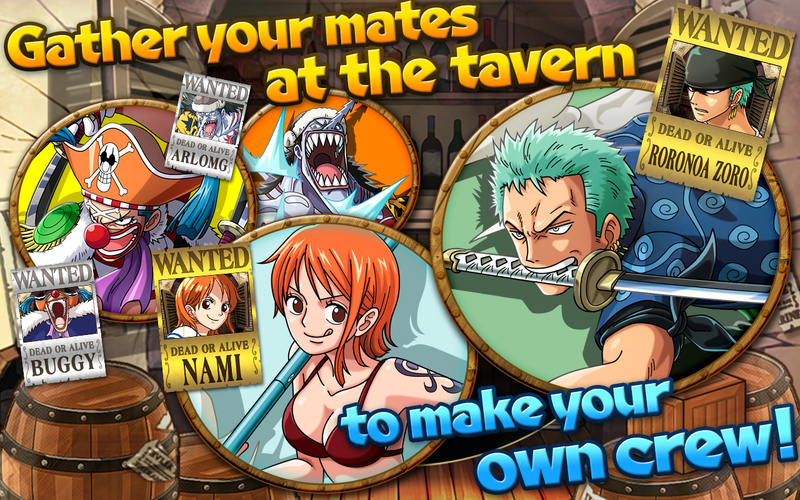 ・Friend/Guest Captains selection and effects in battle have been improved. ・Touching the Status Ailment icons during battle will now display it’s effects. What’s new in the apk v4.0.0? Note: You must download the game data via WIFI since the game data is not stored in your sdcard (Android/data or /obb) folder.